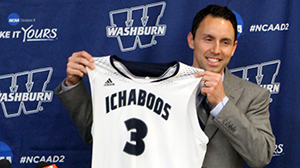 When Washburn University was about to announce Brett Ballard as the next men’s basketball coach, assistant coach Matt Hundley, b ed ’03, called a team meeting to tell the players this hire should excite them. That meeting kick started Ballard’s top priority when he left his assistant coach position at Wake Forest University, in North Carolina in April. Washburn’s top returning player fits Ballard’s mold – strong on both ends of the court and hardworking in the classroom. Senior forward Brady Skeens is an Academic All-American and two-time MIAA defensive player of the year. He was impressed right away with Ballard. Ballard involved himself with the Topeka community early on, visiting elementary schools, hosting summer camps and making obligatory visits to hotspots like Bobo's Drive In. 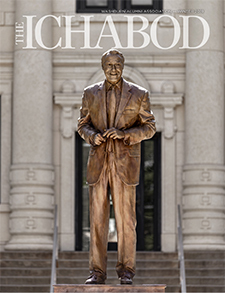 That sense of community, along with strong traditions made Washburn an easy choice for Ballard. Taking over after Bob Chipman’s 38-year career ended in March, Ballard recalls a quote from Bill Self, whom he worked under for seven seasons at the University of Kansas. Ballard’s career has always had a tie to the state of Kansas. He was born in Hutchinson and played guard at KU from 2000-02 for Roy Williams. The Jayhawks went to the Final Four his senior season, and he was named academic all-Big 12. He started coaching as a student assistant on Self’s first Kansas team, was a head coach at Baker University and an assistant at the University of Tulsa and Wake Forest. 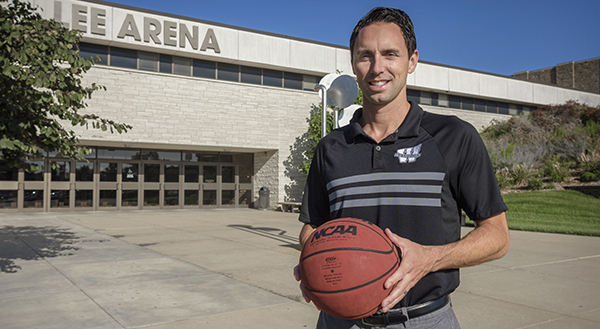 He worked under former Jayhawk Danny Manning at the two latter schools. Ballard and his staff are ready to get started playing in a conference – the MIAA – that produced two national champions in the last four years. “Rolling up our sleeves and getting to work excites me more than anything,” Hundley said. Fans will be able to catch up with Coach Brett Ballard on Twitter (@CoachBBallard), where the 37-year-old actively runs his own account.